Dr. J.S. Basi sincerely enjoys helping people reach their weight loss goals. He believes that the positive changes in mood and outlook his patient’s experience are as important as their quantifiable achievements. Their results speak to his success as a weight loss physician every single day. Please see our testimonials. Dr. Basi’s patients appreciate that he understands their challenges first hand. At the end of his medical residency training, he weighed 240 pounds – a gain of almost 70 pounds. After achieving his own weight loss goals, Dr. Basi developed a lifelong interest in helping others lose weight. He knows from personal experience that providing the right kind of emotional support, guidance, motivation, and accountability throughout the weight loss process is critical to an individual’s success. At the helm of Sunrise Health Medical Associates since 2006, Dr. Basi offers free consultations to new patients, medical exams, time-tested successful weight loss plans, prescription FDA approved appetite suppressants and healthy doses of encouragement. He meets with everyone in his weight loss program weekly to assess their progress and make adjustments as needed. 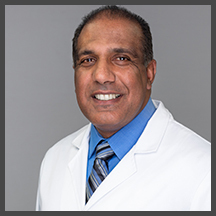 Dr. Basi received a B.S in Industrial Engineering from Penn State in 1992 and then earned his medical degree from Ross University School of Medicine. In 2000, he completed his residency training in Internal Medicine at the University of Medicine and Dentistry of New Jersey. He worked at several weight loss clinics before discovering Sunrise Health Medical. Dr. Basi was drawn to Sunrise because its founder, Dr. William Vederman, also believed that a successful weight loss doctor has to first and foremost, listen, and then provide each individual with the exact support they need. If you are looking for a weight loss physician who truly understands your needs, Dr. Basi would like to help. Please call to set up a free consultation: 1-833-201-1997 or contact the Sunrise Health weight loss clinic in your area.